Adactio: Journal—When is a link not a link? Tech bloggy publication thingy The Next Web posted some words pointing out that, for a while there, the link wasn’t working. At all. 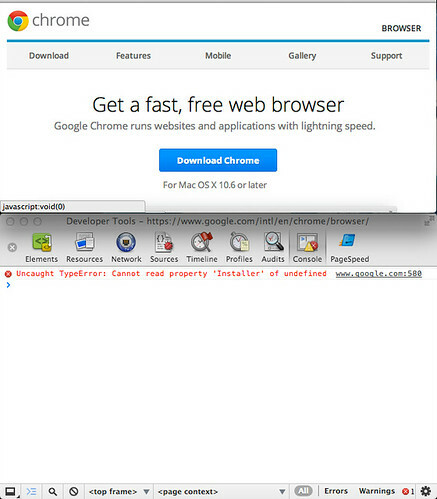 There was no way to download Chrome from the page created for the purpose of letting you download Chrome.